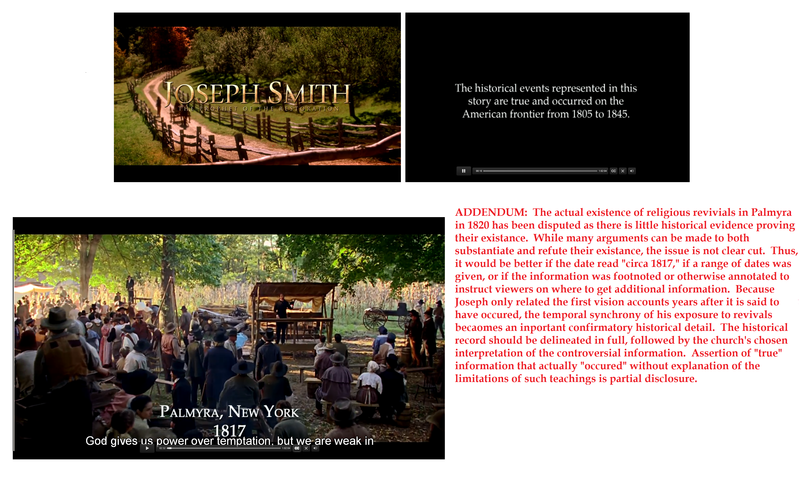 ADDENDUM: Although the film dramatizes the impact that Joseph’s telling of the first vision had both personally on his relationship with one particular minister, as well as on his family with the greater community surrounding their family, as FAIR acknowledges, there is no documentation that the first vision was related to anyone until 1827, 7 years after it was said to have occurred. While the account that Joseph related years later can be taken at face value as historical, full disclosure of this lack of parallel evidence is needed. Additionally, numerous accounts demonstrate that Joseph’s initial treasure-seeking endeavors focused on the finding of the gold plates without any telling of the first vision and that his efforts were initially devoid of any religious intent, which later increasingly grew with time. 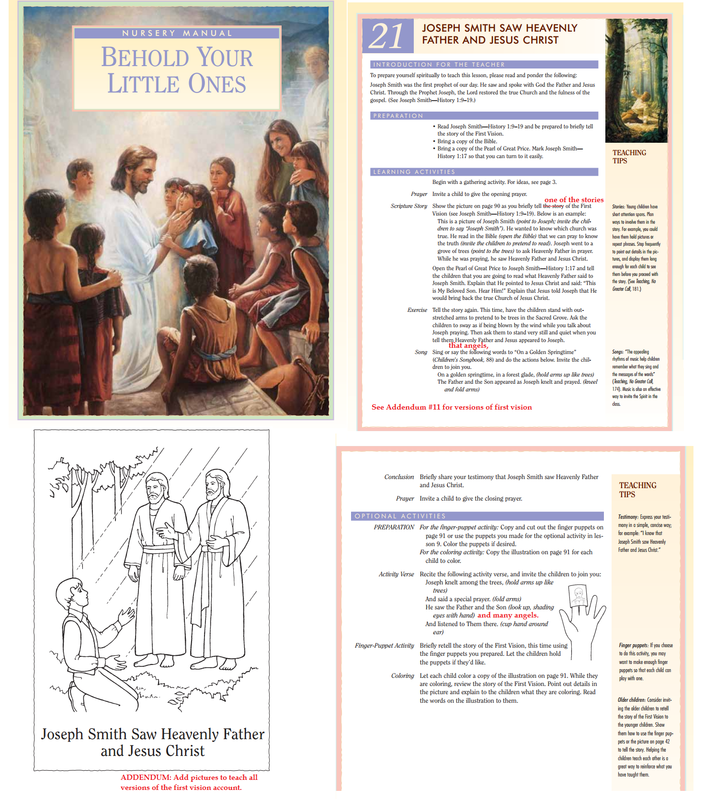 Members of the church can choose to have faith in the first vision and its impact on the community as related by Joseph, but the telling of the story should include the full historical record, to contextualize the account and facilitate the choice to exercise faith and believe that the vision occurred as is claimed. 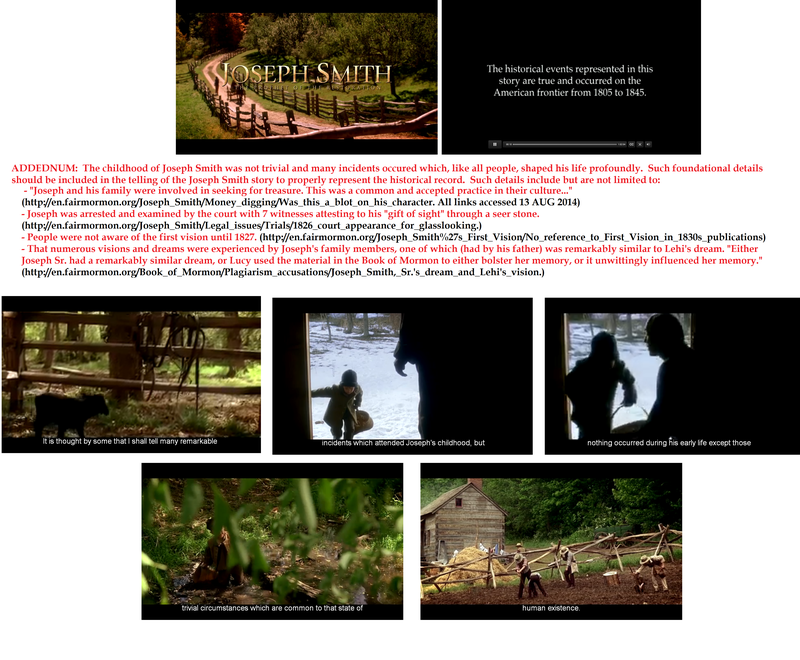 This entry was posted in First Vision Accounts, Joseph Smith the Man and tagged Film and Video, Joseph Smith The Prophet of the Restoration, Media on August 20, 2014 by claytonbhess. 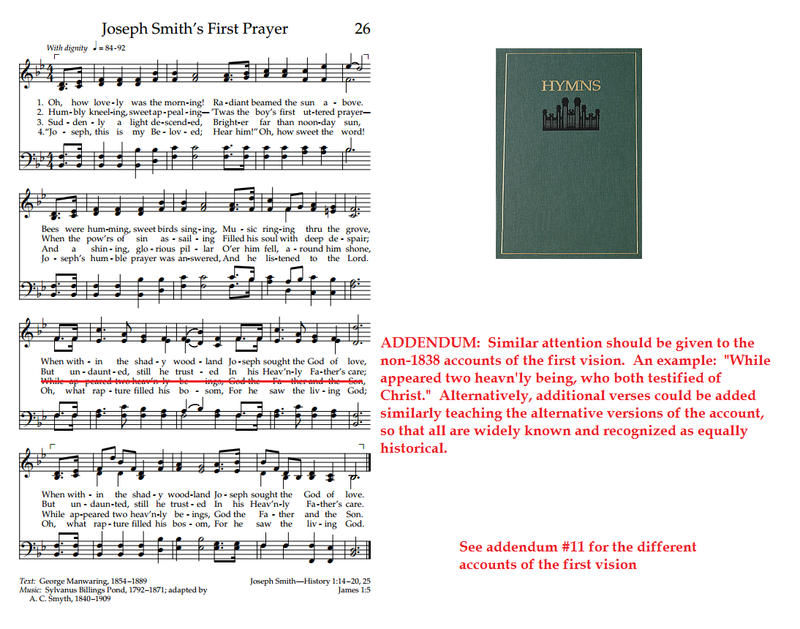 ADDENDUM: The different accounts of the first vision are of equal historical legitimacy. The church should teach the details of each account even if they favor one over the others. In film, it would be reasonable to create film depictions of each account. Even if they weren’t as widely dispersed as the others, the effort to create a media library that actually reflect the other accounts would legitimate them to all members, allowing the church and its members to better know and accept its true history. such a film wouldn’t necessarily be shown in the Legacy Theater of the Joseph Smith Memorial Building with as much fanfare, but currently no film depictions of the other accounts even exist. This entry was posted in First Vision Accounts, Uncategorized and tagged Film and Video, Joseph Smith The Prophet of the Restoration, Media on August 17, 2014 by claytonbhess. This entry was posted in First Vision Accounts, Joseph Smith the Man and tagged Film and Video, Joseph Smith The Prophet of the Restoration, Media on August 15, 2014 by claytonbhess. 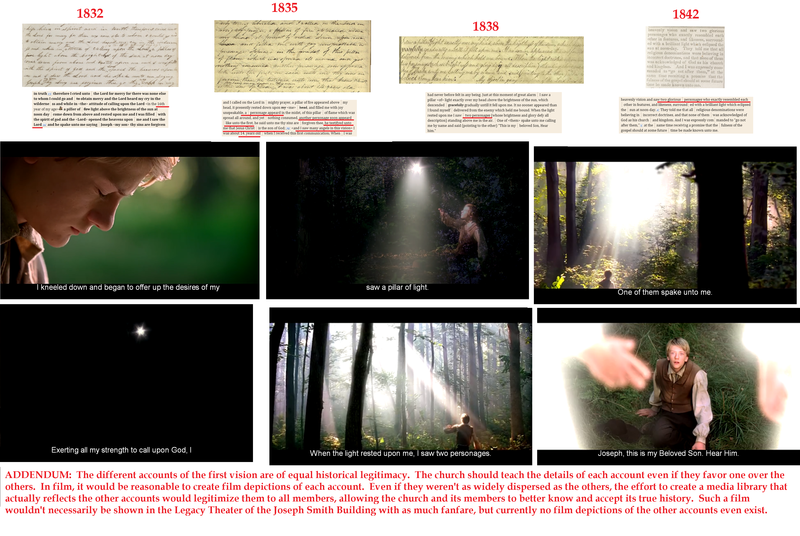 This entry was posted in First Vision Accounts, Joseph Smith the Man and tagged Film and Video, Joseph Smith The Prophet of the Restoration, Media on August 13, 2014 by claytonbhess. 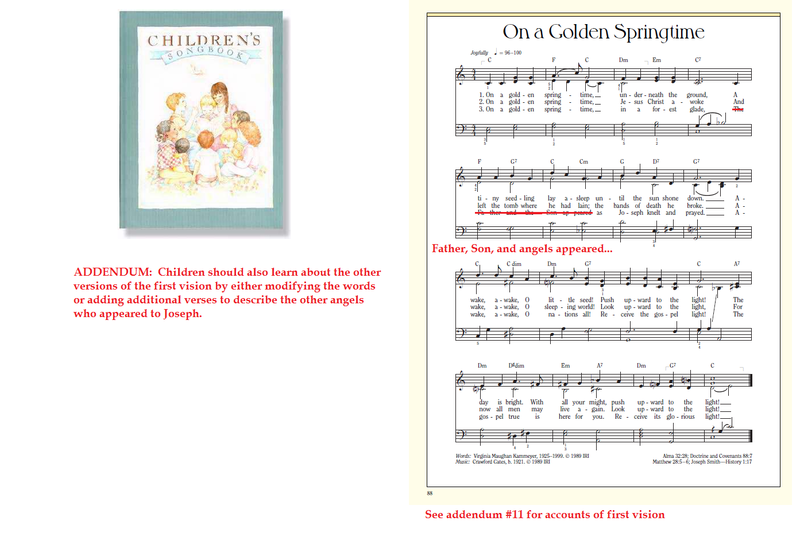 This entry was posted in First Vision Accounts and tagged children's songbook, children's songbook #88, Media, Music on July 31, 2014 by claytonbhess. This entry was posted in First Vision Accounts and tagged Hymns, hymns #26, Music on July 30, 2014 by claytonbhess. This entry was posted in First Vision Accounts and tagged Manuals, nursery, nursery manual behold your little ones, nursery manual behold your little ones chapter 21, Primary on July 28, 2014 by claytonbhess.